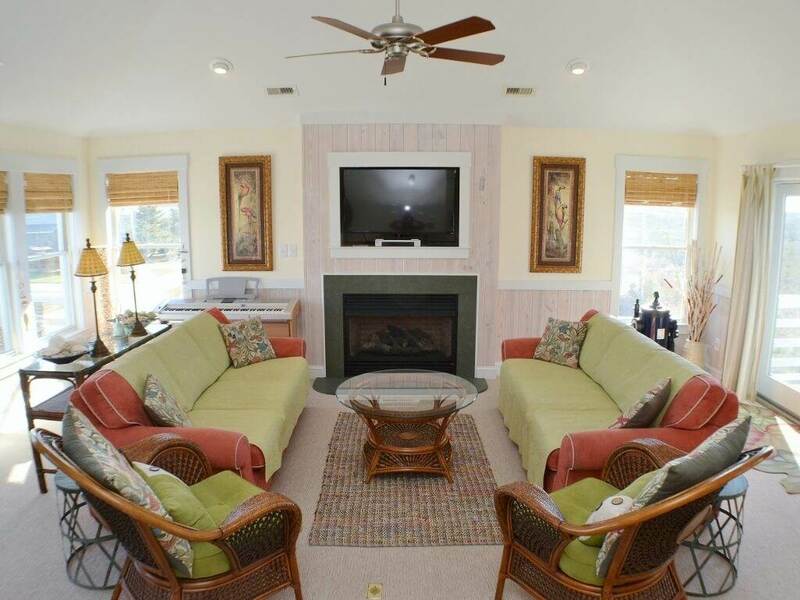 “Southern Comfort OBX” is a well-maintained, thoughtfully designed home that blends classic southern charm with coastal flair. 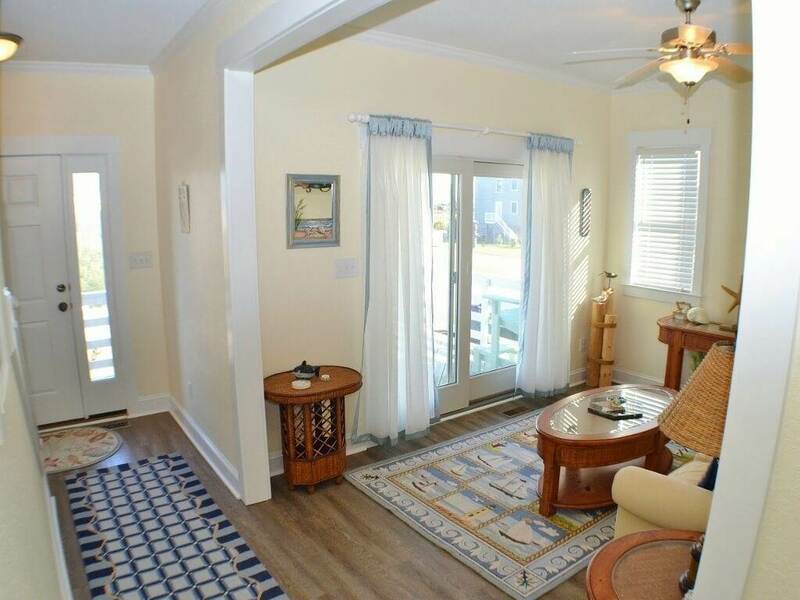 Traditional finishes, quality trim work, high ceilings and plenty of natural light create the bright and breezy atmosphere you look for in a beach cottage while maintaining the home’s unique sophistication. 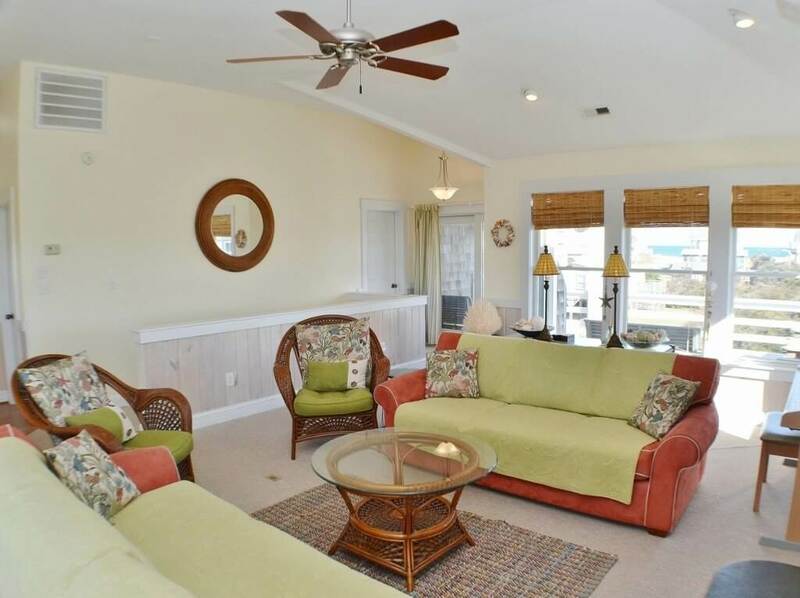 The open concept living area is ideal for spending time with family and friends. 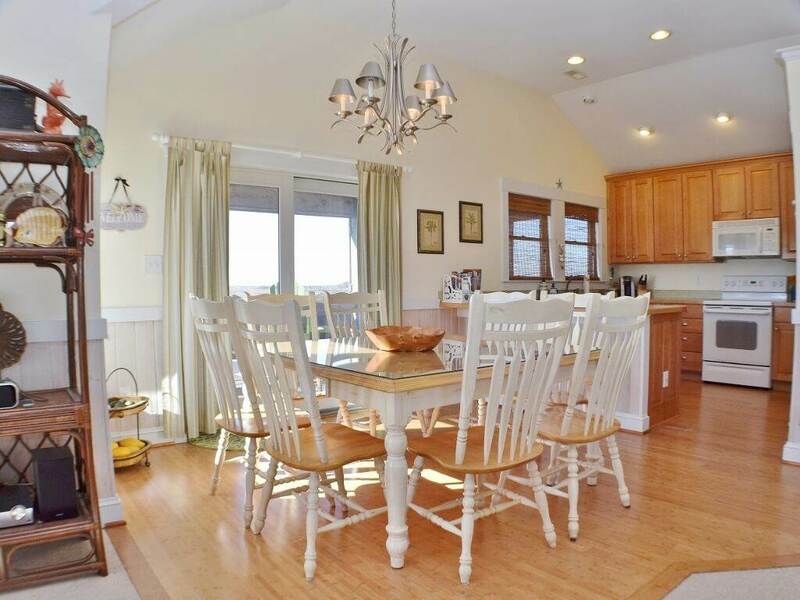 With a large dining table that seats eight, everyone can enjoy meals together. 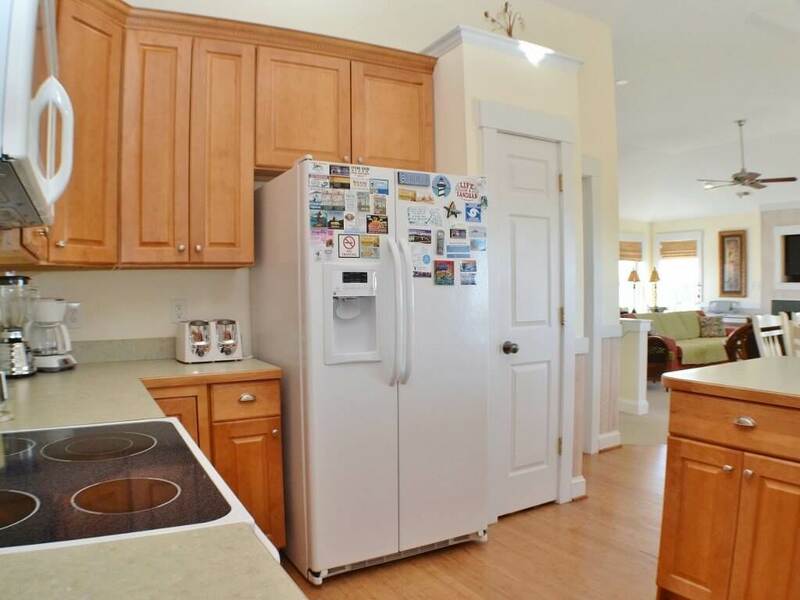 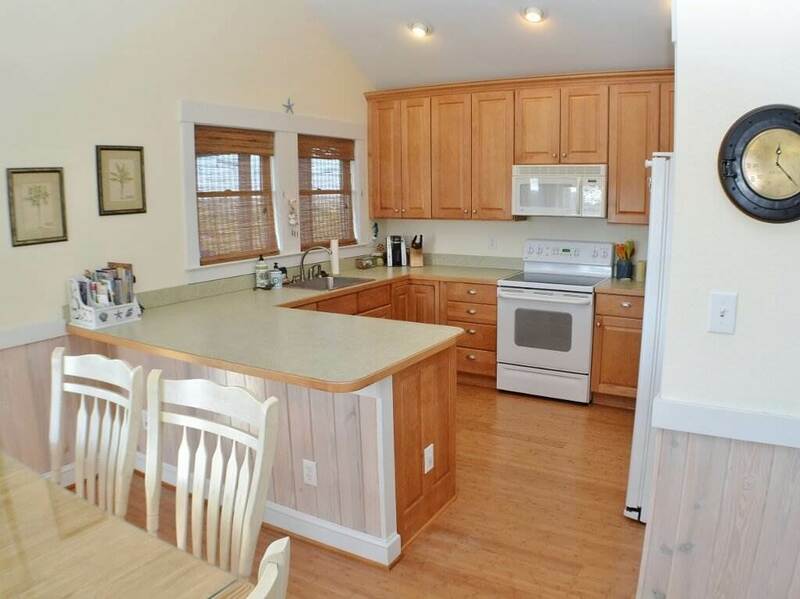 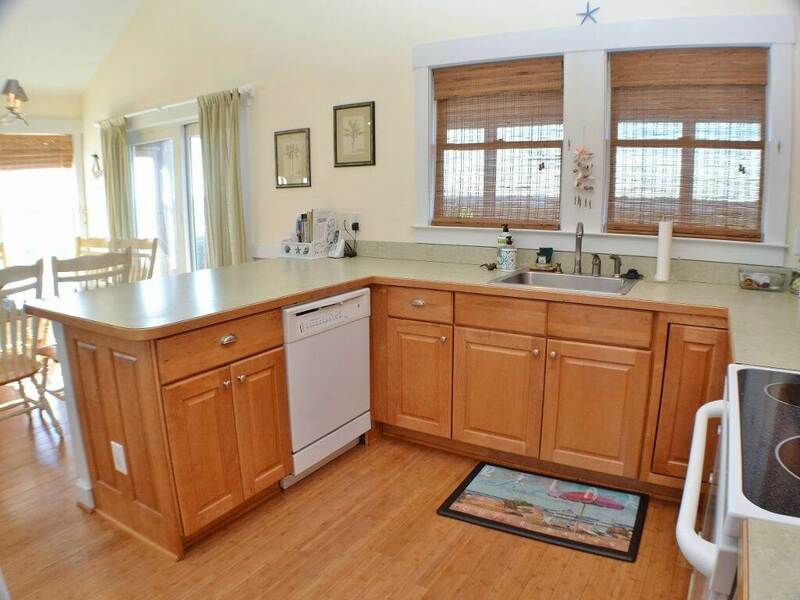 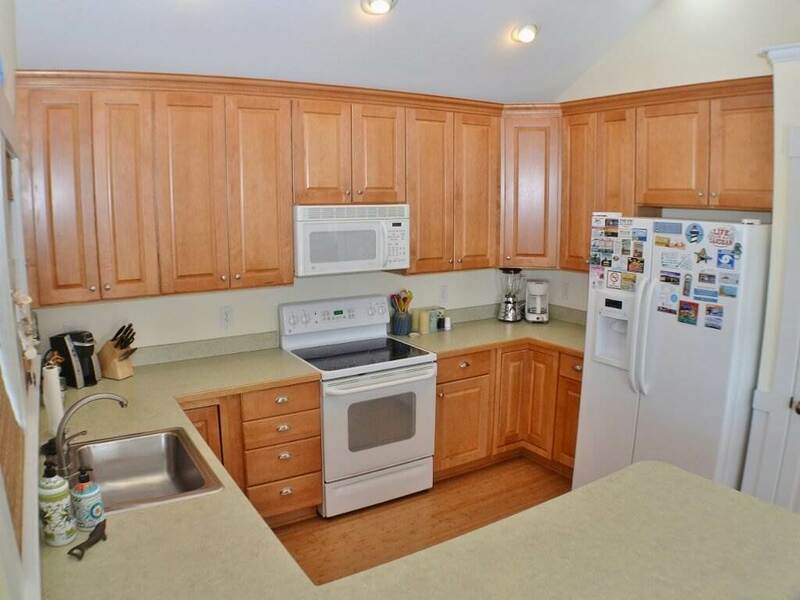 The kitchen features gorgeous maple shaker-style cabinets that complement the hardwood floors. 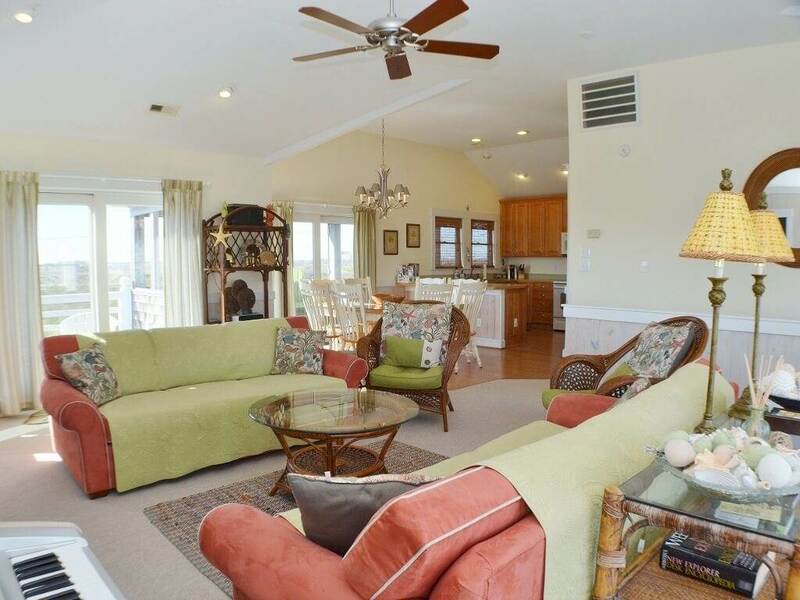 An expansive screened porch and sun deck on the top level serve as extensions of the main living area, combining indoor and outdoor living. 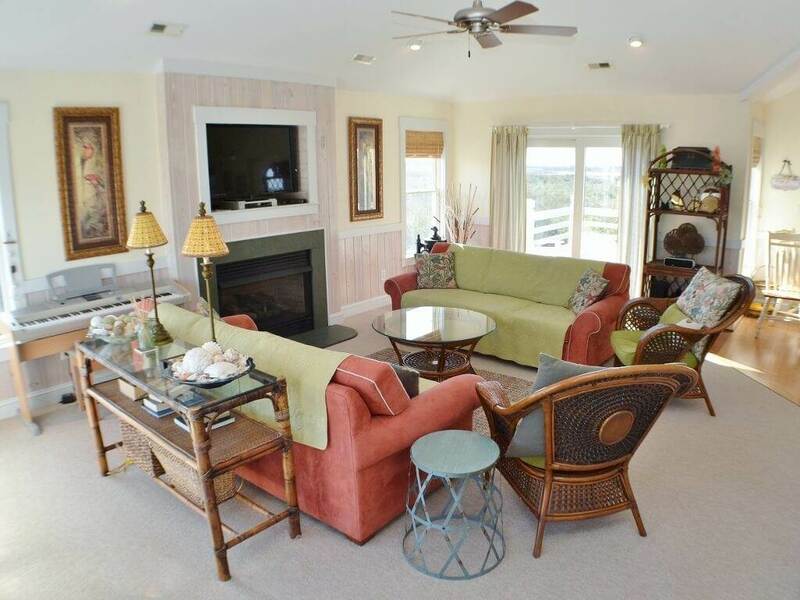 The mid-level den adds even more common area to the home so everyone in your group can find their own space to relax. 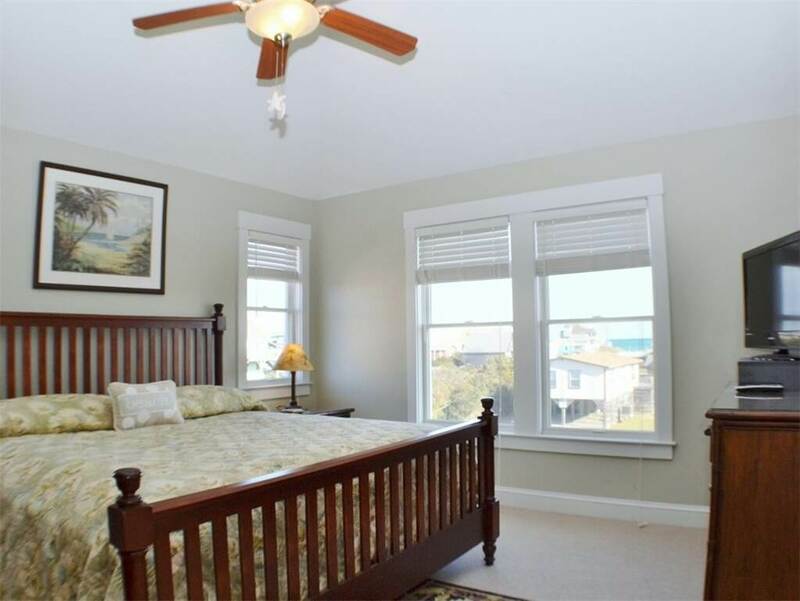 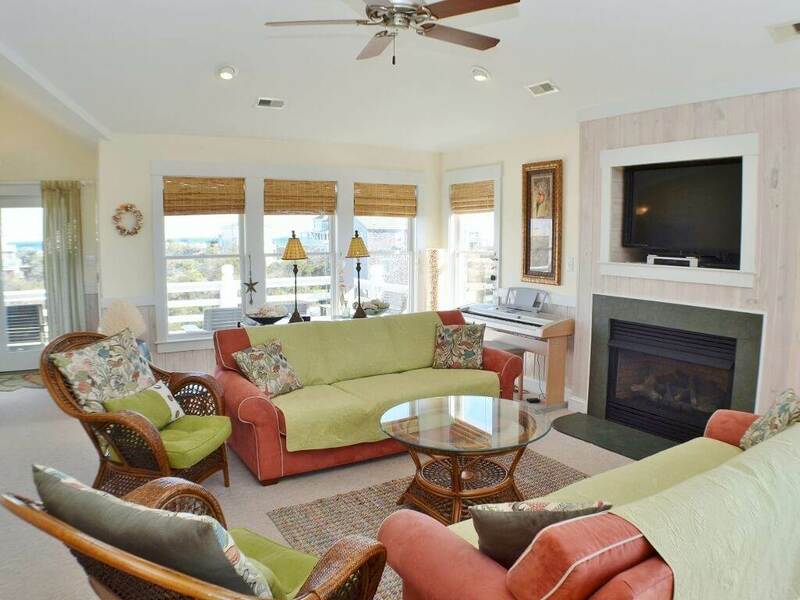 With two master suites on separate levels, this home is ideal for multiple families or couples vacationing together. 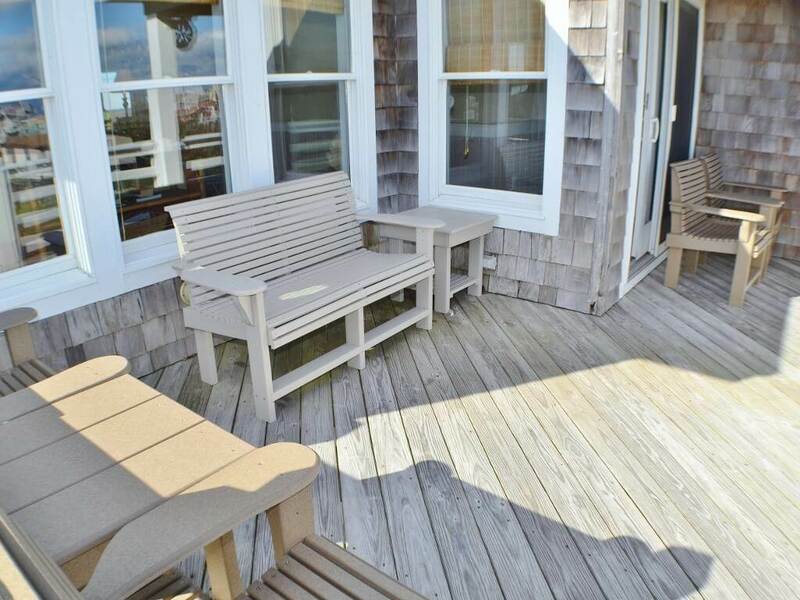 In the morning, enjoy your cup of coffee with an ocean view from the east deck. 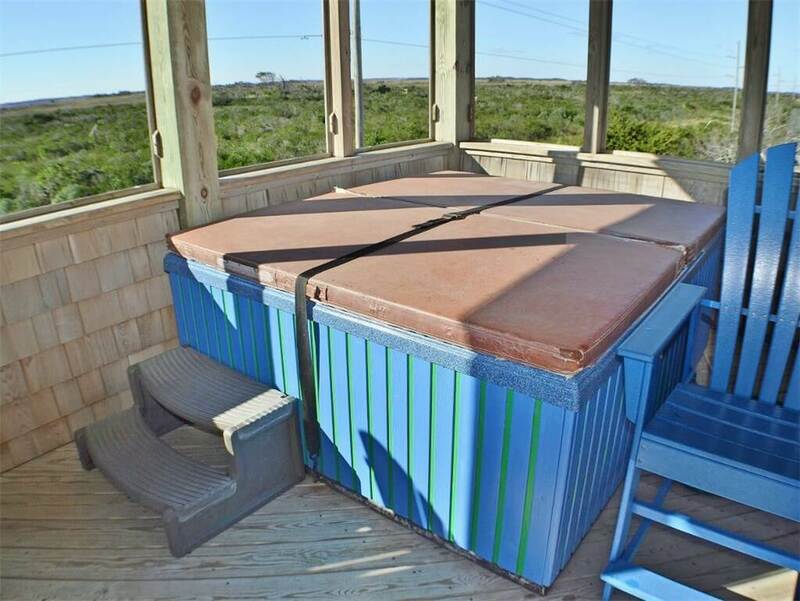 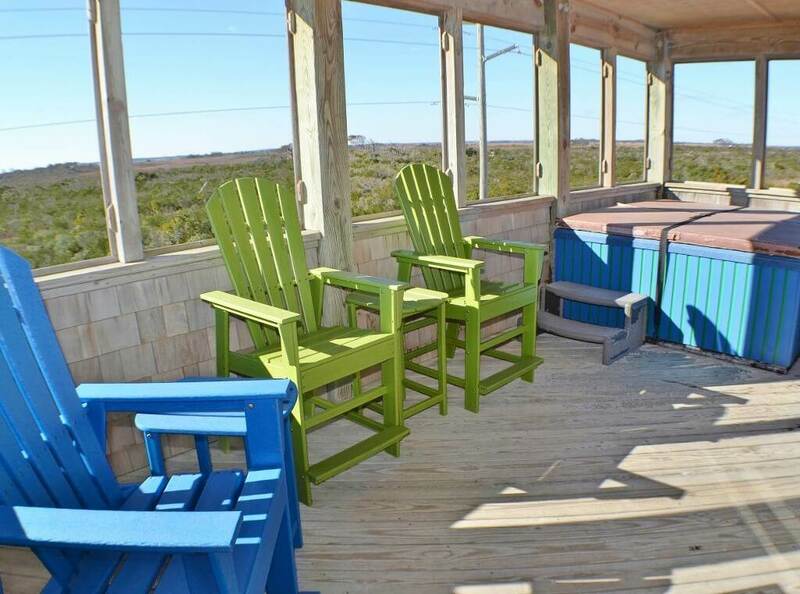 After a long day at the beach, curl up on one of the comfortable sofas and watch a movie using the Blu-Ray player, or soak in the hot tub while watching the sun set over Pea Island National Wildlife Refuge. 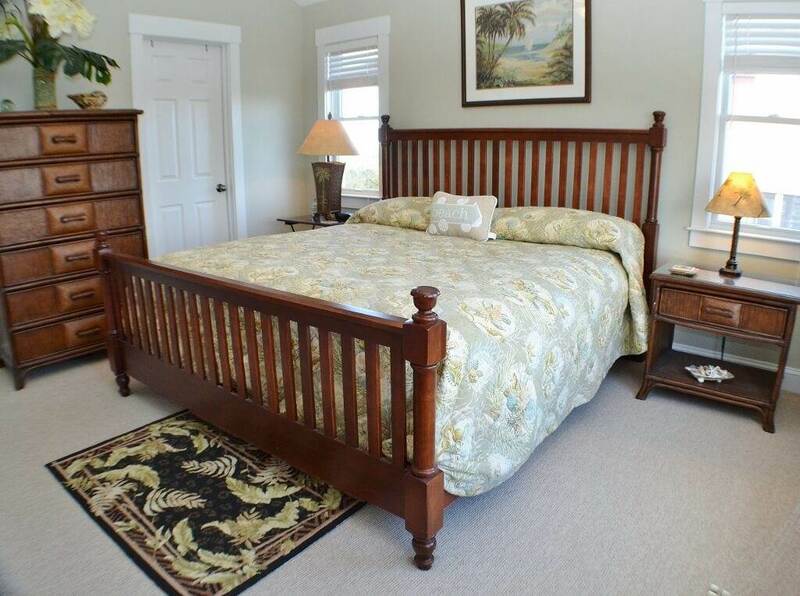 “Southern Comfort OBX” participates in our Carolina Club linen program, so you'll arrive to freshly made beds and bath towels for everyone in your group. 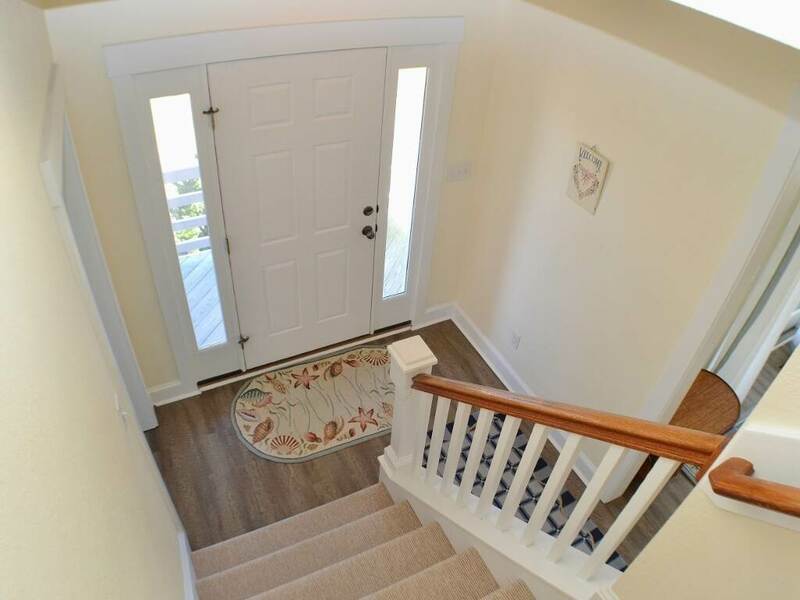 Check-in will be a breeze using the keyless entry system, which allows you to bypass our office and go directly to your vacation home. 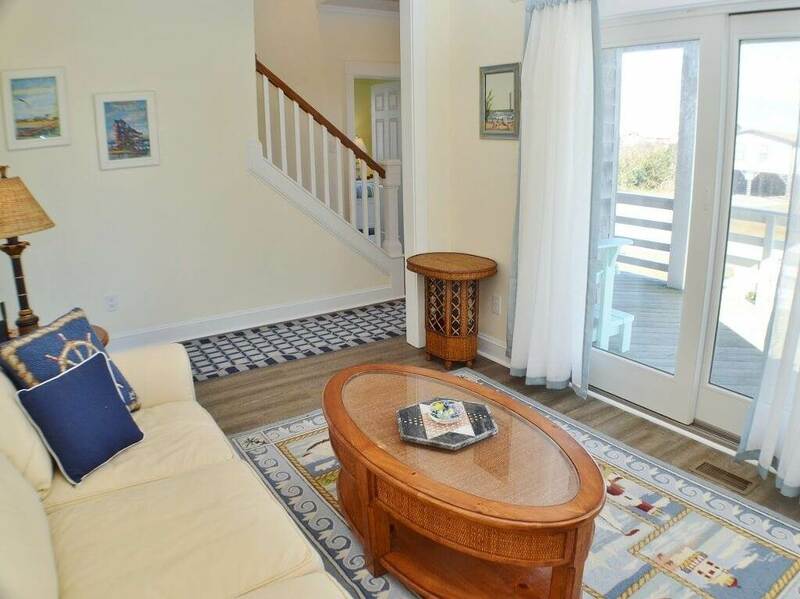 Access to the beach is just a short walk away. 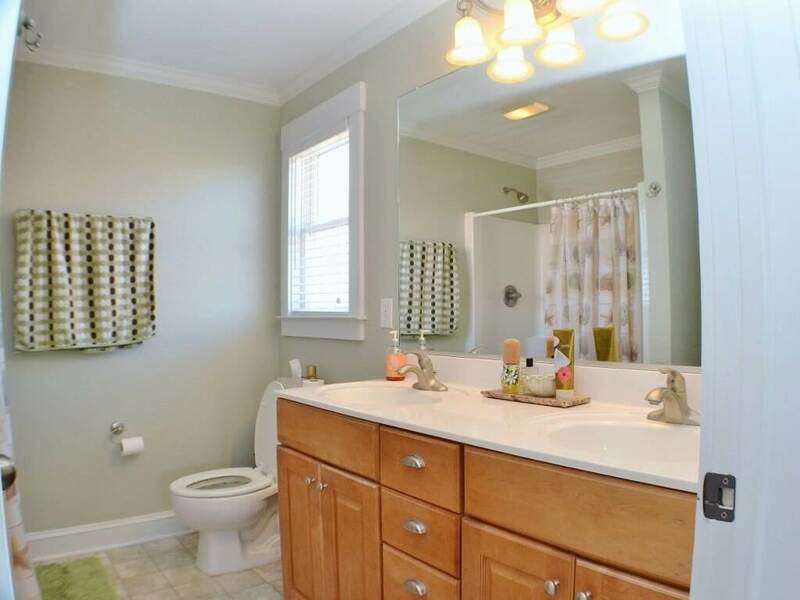 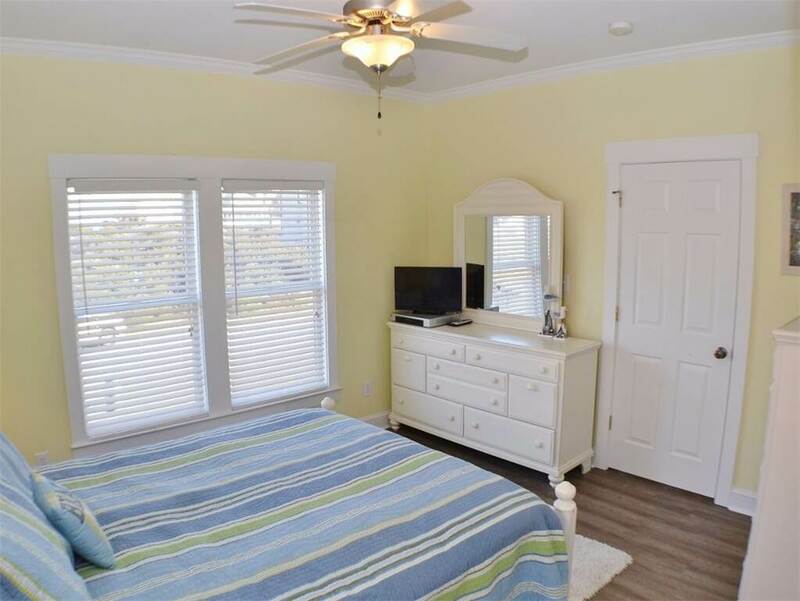 Located in South Nags Head, you’ll be secluded from the hustle and bustle of town while still being just minutes away from shopping at the Tanger Outlet Mall, dining at famous restaurants such as Owens’ or Lone Cedar Café, and attractions including Jennette’s Pier and Jockey’s Ridge. 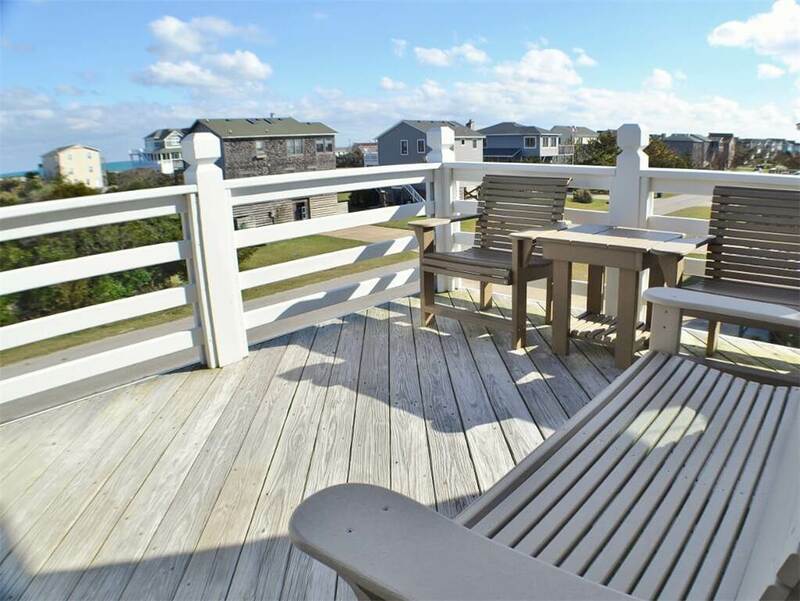 Or head in the opposite direction and discover the southern beaches of Hatteras. 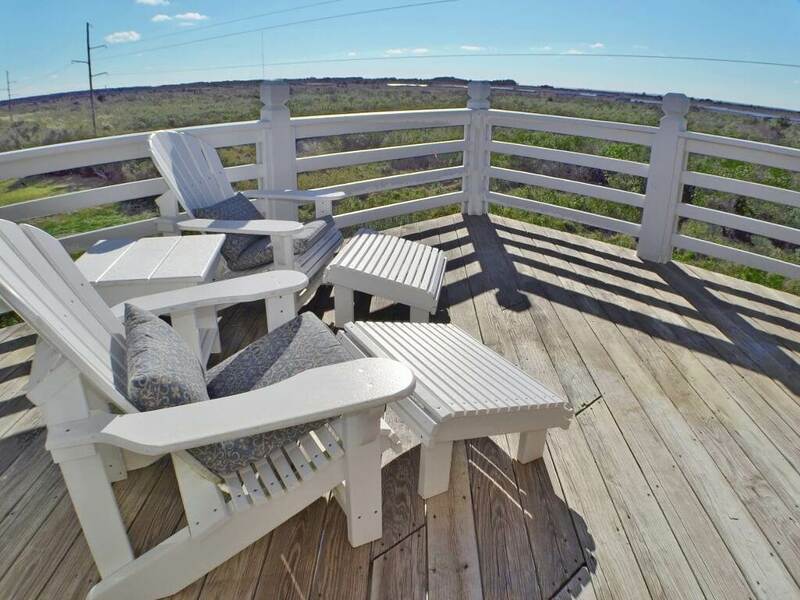 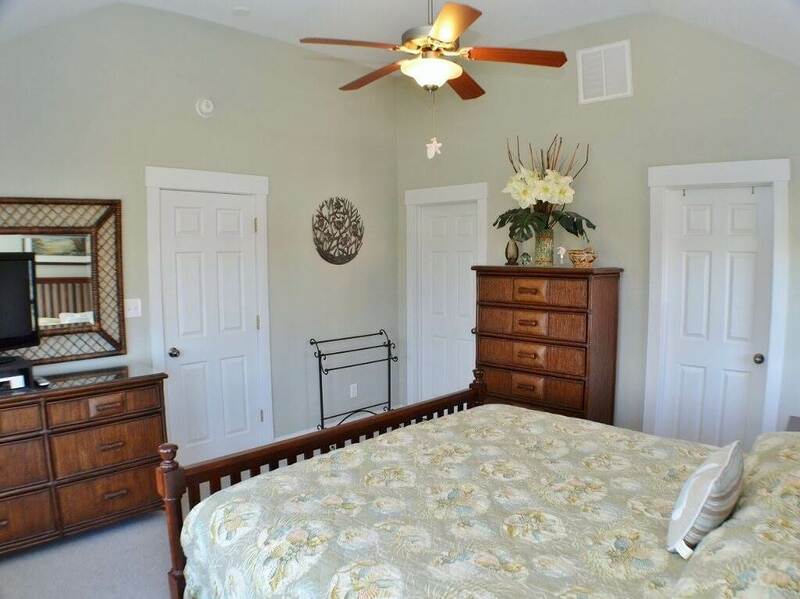 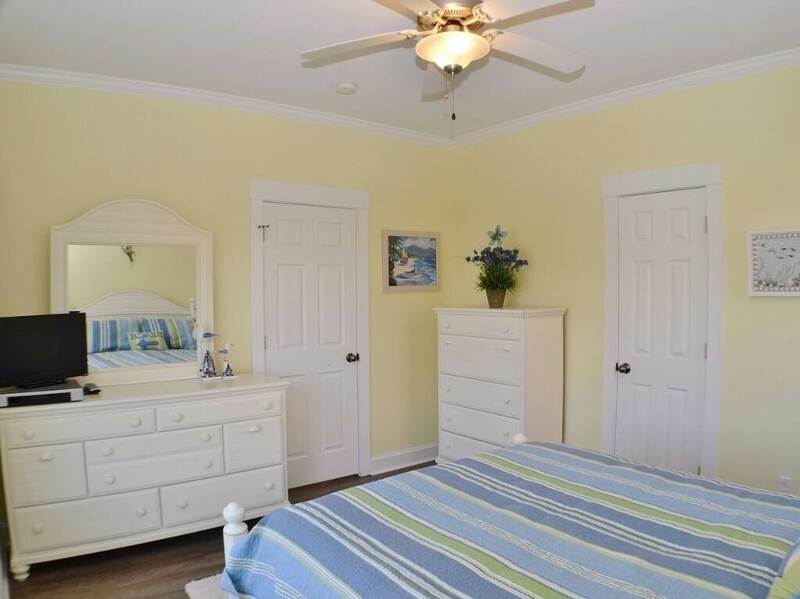 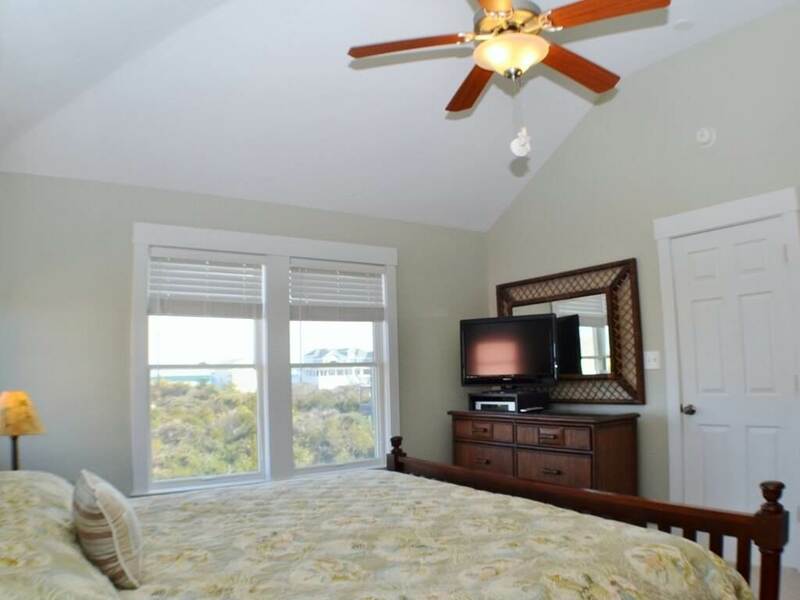 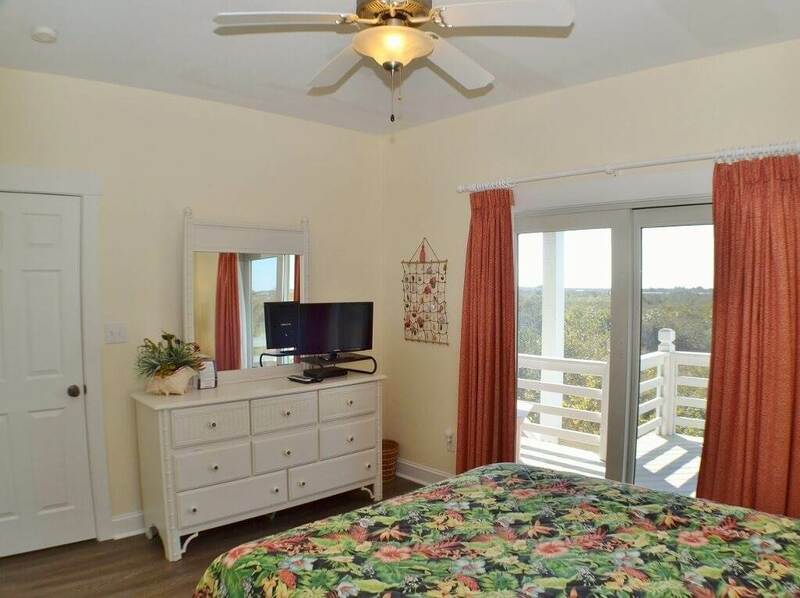 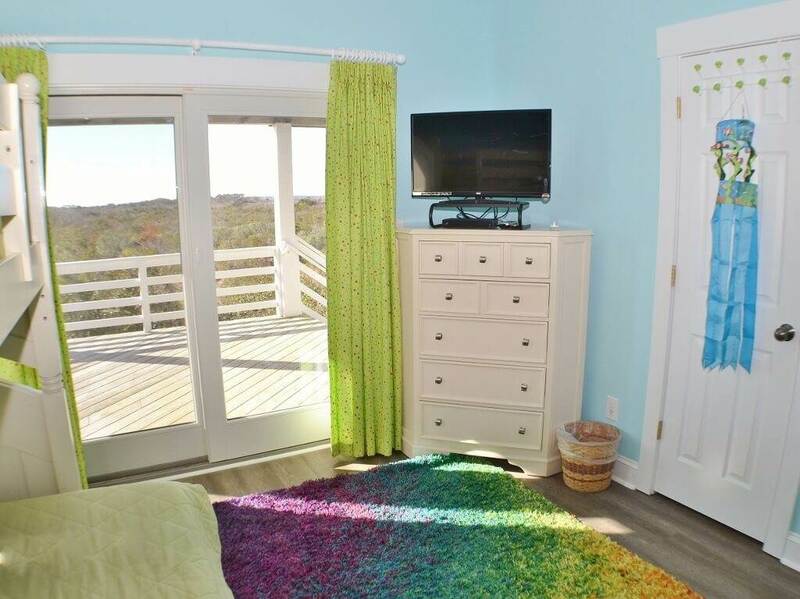 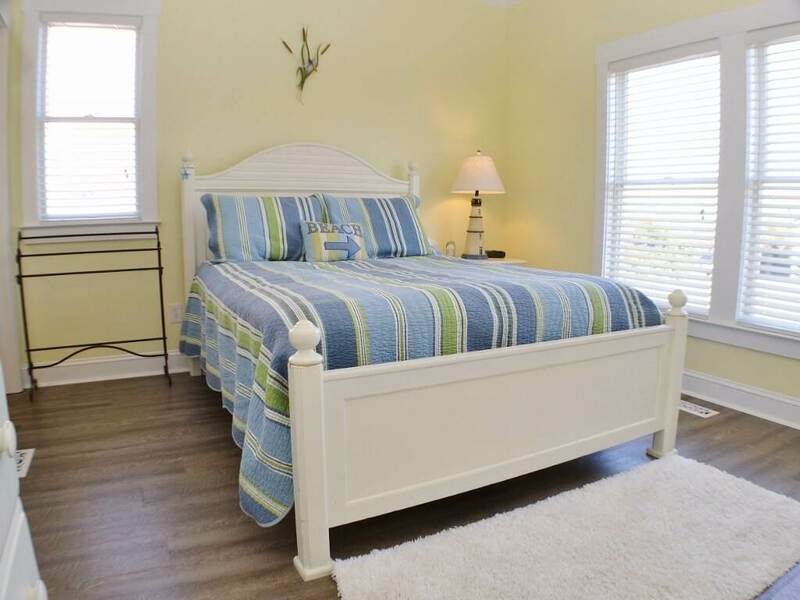 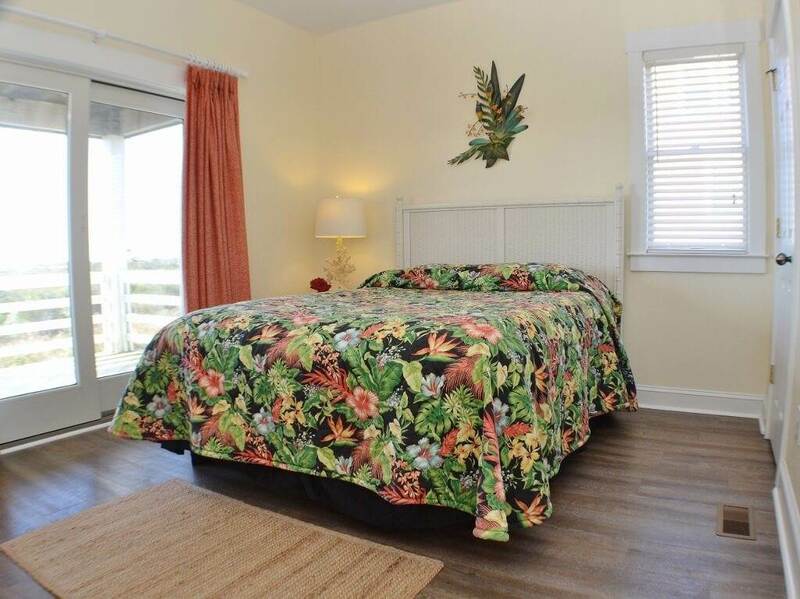 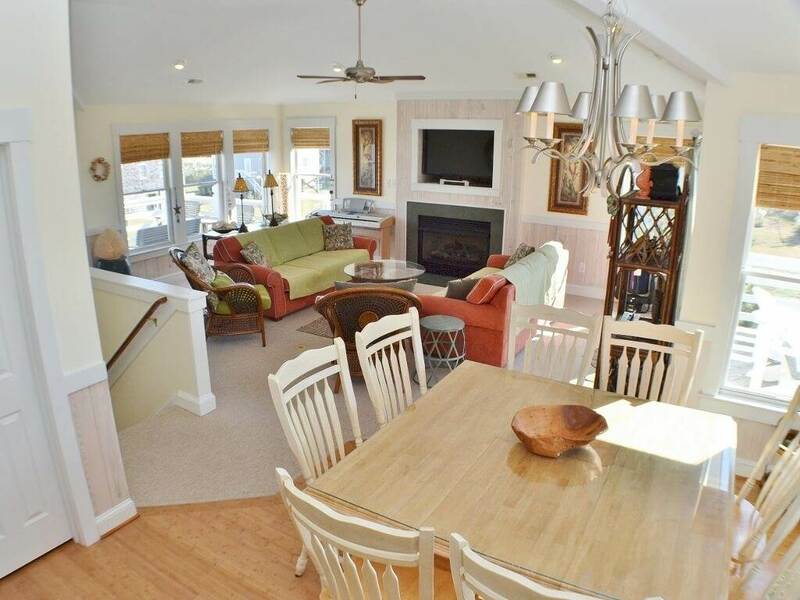 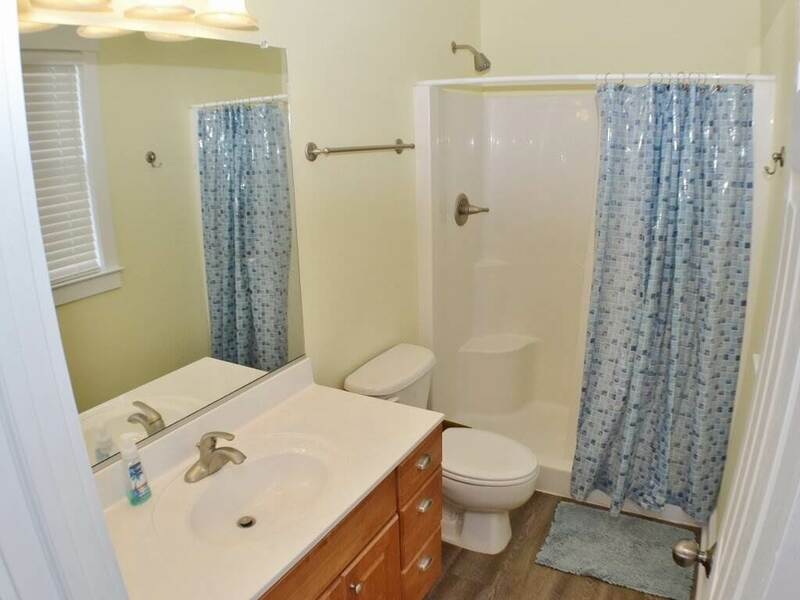 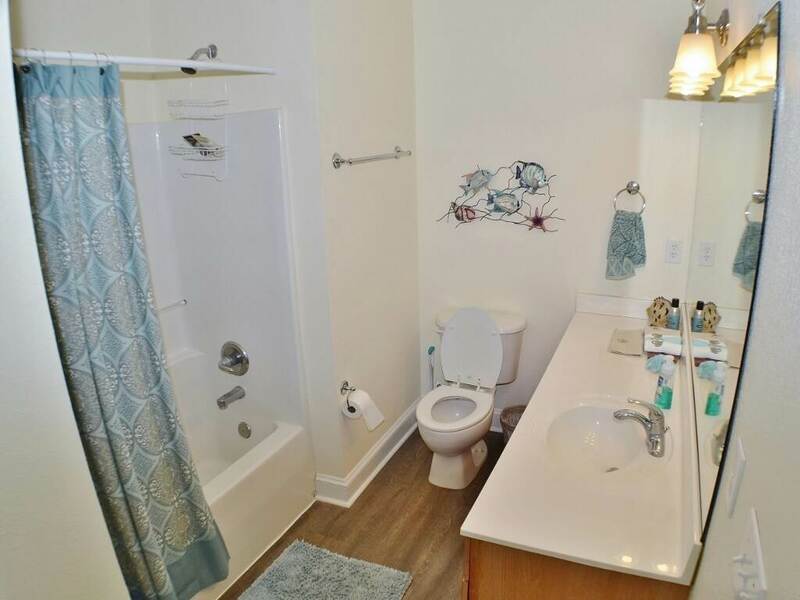 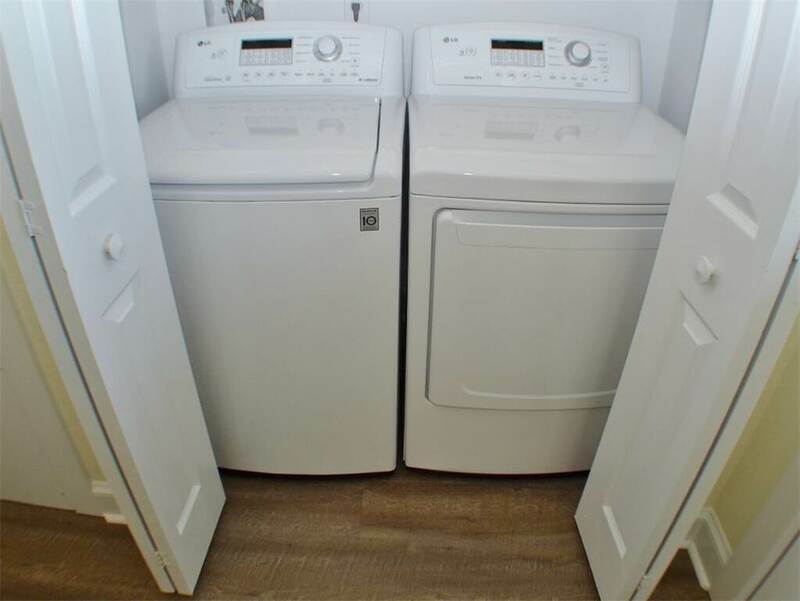 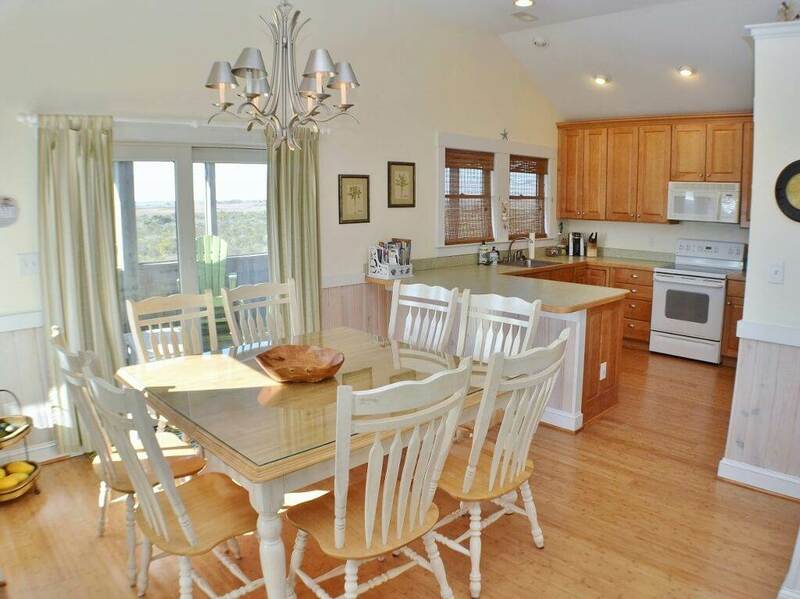 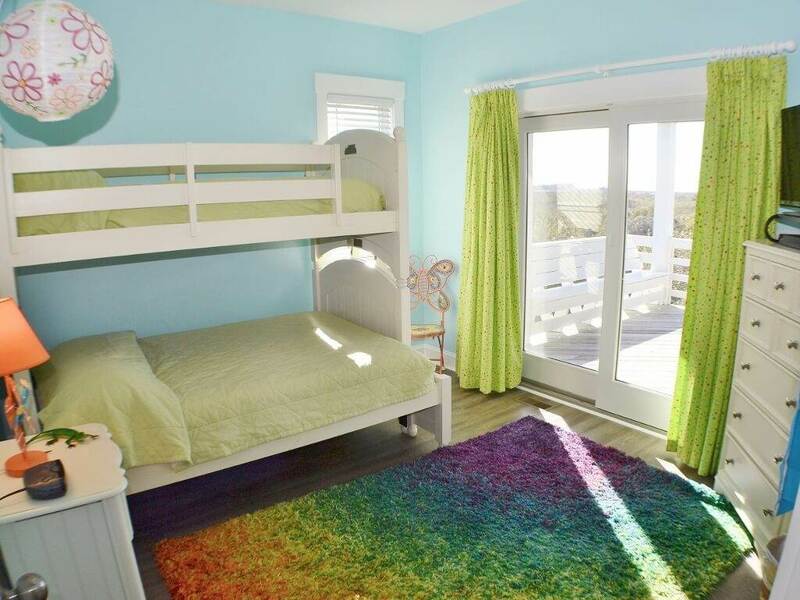 So whether you’re on the beach, exploring the area or just relaxing in your new favorite vacation rental, “Southern Comfort OBX” is the perfect start to your next trip to the Outer Banks.